Past life readings look back at a person's previous lives in order to understand how these elements affect the individual in their current life. These readings stem from the belief in reincarnation. 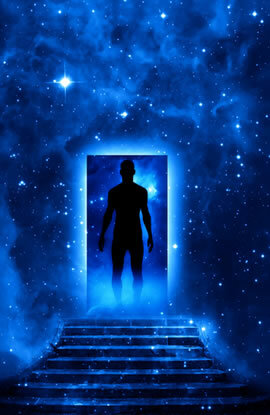 An individual who is reincarnated is continually born again into new bodies over an extensive period of time. The past life readings attempt to focus in on these previous lives to help the person understand relationships and events going on today, as well as address any unresolved emotional issues related to past lives. Reincarnation is dependent on the force of ‘Karma'. Karma is the principle that all our thoughts and actions create either a positive or negative imprint on who we are. These imprints then reflect back onto us in the form of positive or negative experiences. These experiences, however, do not always affect us immediately. They may affect us at any point in our life, or they may affect us in a future life. This means that we may be currently affected by negative experiences because of negative actions in one of our past lives. The only way to attempt to break the cycle of karma is to completely avoid negative actions in the future. Past life readings can be conducted in various unique forms. These include tarot card readings, Akashic records (energy imprints), clairvoyance, spiritual guidance, and astrology. The particular method for conducting the past life reading does not matter as much as the content of the reading itself. Each of these forms can be used to access our past lives. Readings have the ability to highlight past relationships. These can include romantic relationships (psychic love readings), familial relationships, or troubled relationships. The psychic love reading can be used to explain why individuals are strongly drawn to particular partners. Close familial relationships can be explained in the readings by both parties sharing previous reincarnated lives with each other. Similarly, troubled relationships can be explained by previous negative associations with a person in past lives. In addition, readings can also help to shed light on fears and traumas experienced in past lives. Thorough past life readings can explain unique behaviors exhibited in the present life. Examples of these behaviors include: phobias, fears, and emotional conflicts from ‘spiritual scars'. Understanding the cause of these behaviors is the first step to actively overcoming them. The reading provides a basis as to what may be causing the negative forces. These readings can help to expunge and clear unresolved emotional issues or beliefs carried over from past lives. If these issues are left unresolved, they can become a barrier to you and your success in the present. Past life readings attempt to clear any of these problems previously attached to you and assist in making your life path clear. A past life reading allows you to live your live more fully. It allows you to see patterns of behavior and motivations that have stayed constant across many lifetimes. Through the use of a medium (the individual assisting you with the past life reading), it enables you to reach your true potential. Life is Crazy: How can I Stay Centered?